How do you make Mexican Fried Rice? 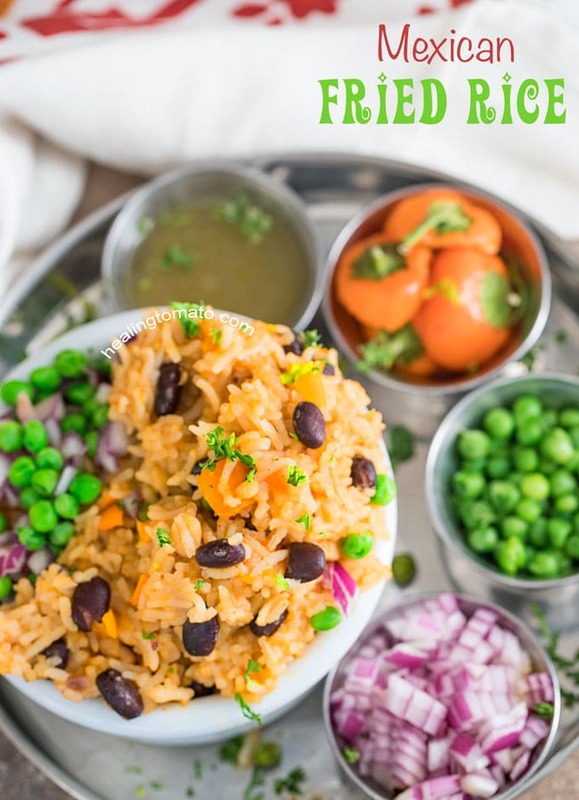 Its very easy to make this vegan fried rice and it takes only 30 minutes to make. 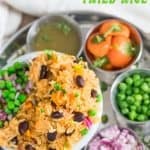 I used fresh veggies in this recipe and added taco seasoning for an authentic Mexican flavored meal. 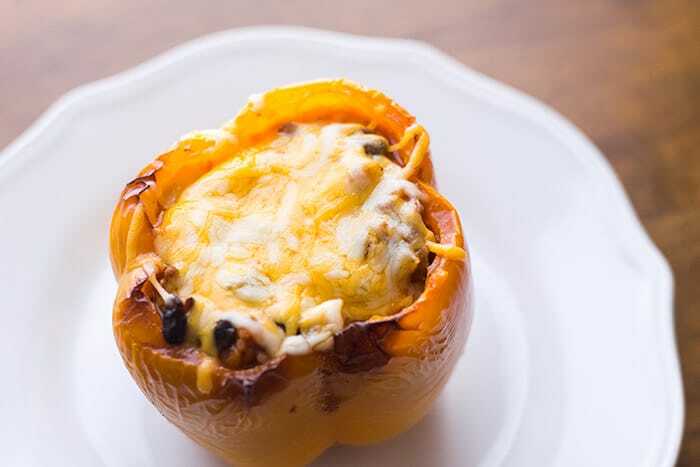 Trust me, even meat lovers are going to love this recipe! I am a rice aficionado and I have made no apologies for it. Being Indian, rice is in my blood! Indians have rice recipes for every meal and yes, that includes breakfast and drinks! Hello everyone! 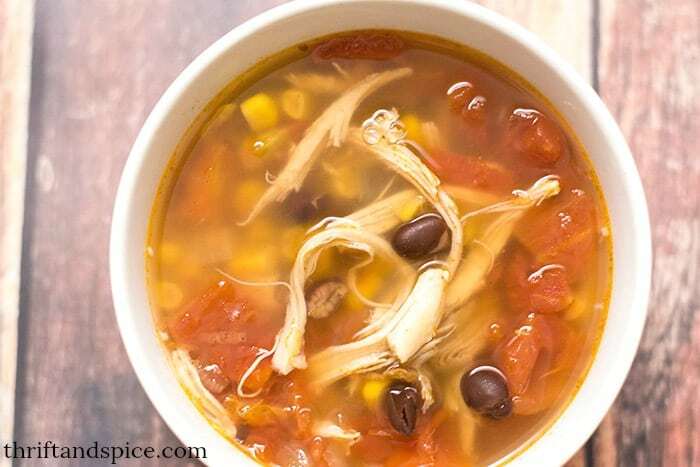 Its Rini again from Healing Tomato bringing you a delicious Mexican recipe that has everyone in my home drooling. They made sad faces when I told them they couldn’t eat it until after I had photographed it. Its funny because it happens so often in my home and in the homes of other food bloggers! This rice is always popular when I make it at home. We like to put it in enchiladas and even quesadillas. 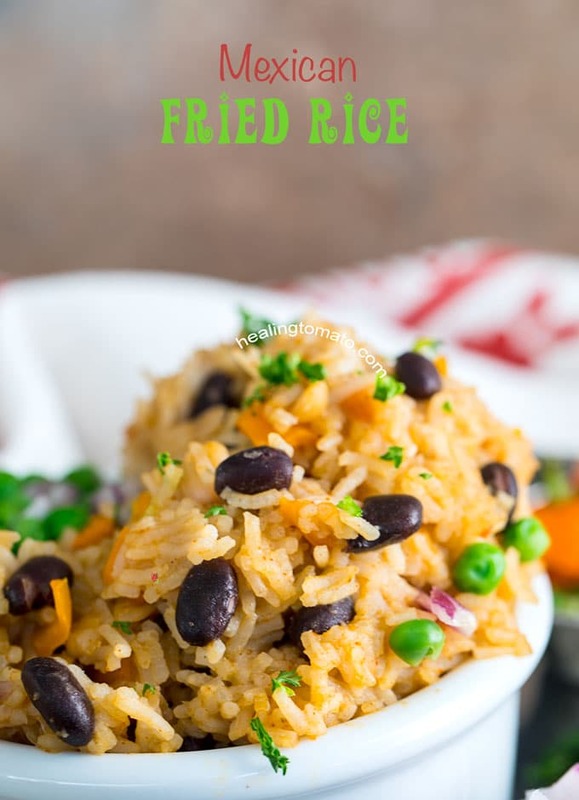 This rice is so versatile and easy to make that you just might end up making it everyday and never get bored with it. This Mexican fried rice is a mashup of Asian and Mexican cuisine. The fried rice is just one of the ways that Asians cook their rice and that’s why its so popular. Why is it called Mexican Fried Rice? So, why is it called fried rice? Well, its because of how the rice is cooked initially. When I add the rice, I stir-fry it for a few minutes before I add the water. This makes them slightly crispy and also less soggy. The Mexican flavors in this recipe include taco seasoning. I have also used fajita seasoning and even Cuban seasoning. The possibilities are limitless! For the rice, I went with basmati rice. Its my favorite rice and I rarely use any other types of rice. If you don’t have basmati, any long grain rice will work in this recipe. If you are health conscious, go with long grain brown rice. The only thing to keep in mind is that the rice might require a little less water than the recipe calls for. If you are looking for Cinco de Mayo recipes, this Mexican fried rice will work with almost any meal on your menu. 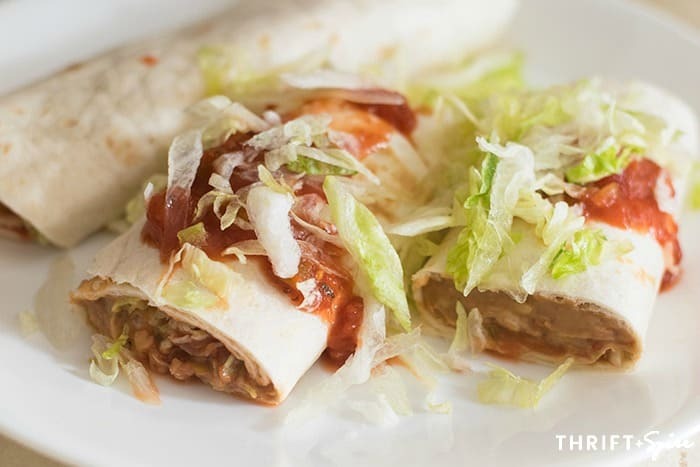 It’s the right side dish for any meat recipe or wrap it in a tortilla and enjoy it as a vegan burrito. Do you notice that I put peas in it? This seems completely against the grain, I know. But, it really adds to the flavor of the rice and I wanted to try something other than corn in this recipe. Corn is the safe choice, so, if you are not a fan of peas, then, definitely substitute it for peas. But, I ask you to try it once and see how good they taste. Use baby sweet peas for best results. So, how will you eat this Mexican fried rice? This Mexican Fried Rice comes together in 30 minutes and is even vegan. The amount of water will depend on the type of rice you use. This recipe uses basmati rice. 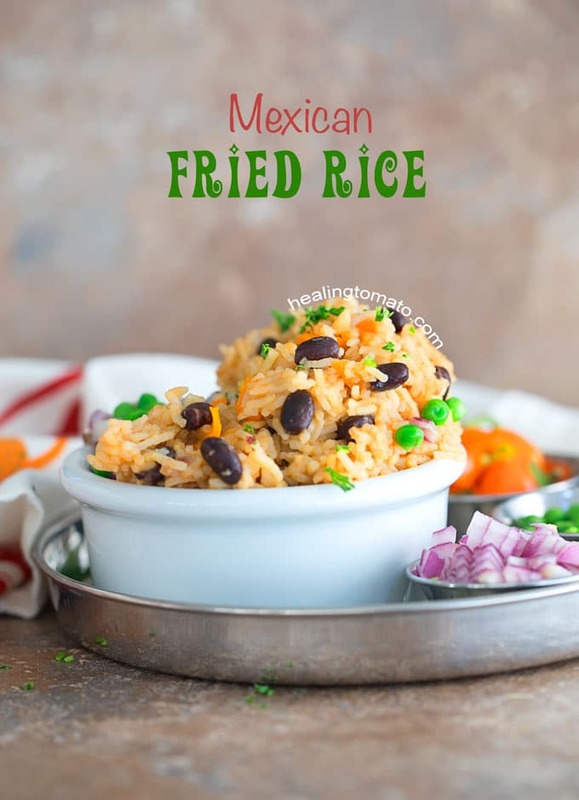 If you liked this Mexican Fried Rice recipe you might also like…. From left to right: Bean Burrito Recipe, Easy Stuffed Peppers & Chicken Tortilla Soup.